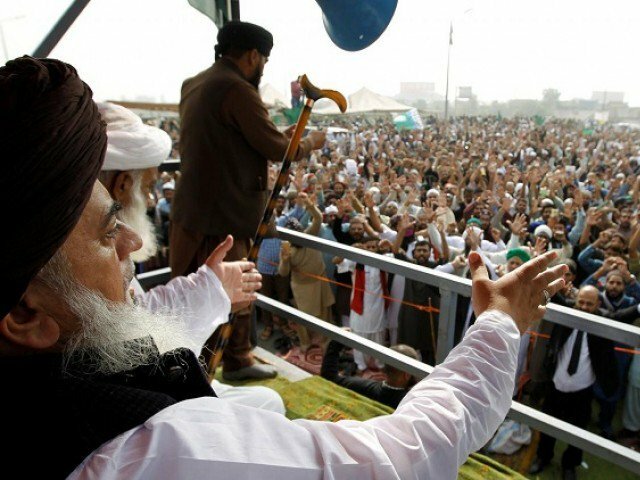 LAHORE: A petition seeking action against the police over its failure to register a case against Tehreek-e-Labbaik Pakistan (TLP) chief Khadim Hussain Rizvi, Tehreek-e-Labbaik Ya Rasool Allah (TLYRA) head Ashraf Jalali and others was fixed for hearing by a sessions court on Thursday. Filed by citizen Abdullah Malik, the petition states that the Station House Officer (SHO) of Civil Lines Police Station had failed to file an FIR [first information report] against the aforementioned leaders of religio-political parties, who threatened the top judiciary and incited the armed forces during their protests following the acquittal of Aasia Bibi in a blasphemy case. The petitioner prayed to the court to pass orders to ensure legal action is taken against the TLP leaders as well as police officials if the latter are reluctant to register a criminal case against the former. Additional Sessions Judge Mohammad Ahmed Khan Kharal accepted the petition and directed Civil Lines SHO to furnish his report on November 14.